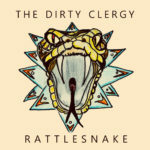 Honest-to-goodness rock and roll is healthy and well in Alabama thanks to The Dirty Clergy. Riding a steady groove, new single “All I Need” is full of heart and soul with just a touch of garage grime. Bucket Full of Nails is proud to premiere the video for “All I Need” which you can watch below. Pre-order Rattlesnake via Bandcamp.